Attacks on whites always concentrate on what whites have, not what third worlders don’t have that we do. Yes, starvation happens nowhere. Starvation only happens where we are blocked from getting at it. But it will be a cold day in Hell before an anti-white takes notice of this. The fact is that a wise peasant would not have believed a ten thousand year succession of well-meaning experts. How would they know that this particular set had a point? Can you imagine how terrified they were even when this was tried on even a few acres, realizing that if this set of priests made it work, they would be forced to abandon methods that had fed their families since time out of mind? This property right seems very important to him. I have run into this problem for decades. I am only capable of truly HATING one group, and that group is White gentile TRAITORS. Jews are people who have decided to take an alien loyalty. So are anti-white Catholics. They have were fighting for assimilation – assimilation — long before it was of any interest to Jews. That is the traditional intermarriage program Sarkozy said he would use force to speed up. My objection to talking about Jews is that it makes us ineffective. Wordists, Jews and other groups have different loyalties from mine, and they act as enemies of my race. When Emma Lazarus wrote the inscription on the Statue of Liberty, everyone knew that she was a lifelong, dedicated Zionist. This country she so poetically gave away was not HER country. Can you imagine Emma Lazarus’s reaction if Robert Whitaker wrote an inscription for a monument in Haifa telling the whole world to come to Israel? But it is perfectly understandable why a Zionist would be glad to give away America. But what little information we are able to produce is not for a classroom. In a war of survival for the White race, the value of information is whether it WORKS. In the actual war, talking about Jews gives the other side something they can grasp hold of. They are ready for it. 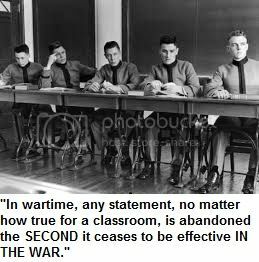 In wartime, any statement, no matter how true for a classroom, is abandoned the SECOND it ceases to be effective IN THE WAR. Also, there is my respect for Dr. Duke himself. He is attacking Jews. If that will work, he does not need MY amateur help. A Jew or a fanatically blind Catholic is not a traitor. He is entirely different from me. I know David Duke. However he regards me, I know he is a heroic and dedicated man. My opinion of him (or of anybody else) does not depend on his opinion of me. Someone who bases their opinion of others on their opinion of him is not someone who can give objective advice, and objective advice is all I have to offer. But I DO take it personally when someone uses my name or the precious effective memes we have developed to throw them away on Jews. Our memes WORK. But you can destroy our effectiveness if you just use our memes to get in some cheap shots at Jews. This is not a friggin’ classroom. This is a WAR. And incidentally, how can one be a white supremacist if his crime is that he wants nothing to do with non-whites? You are currently browsing the archives for the Mantra category.